Selenium is a contaminant of concern due to its toxicity effect on aquatic lives. EPA regulated its concentrations at 1.5 μg/L in lentic freshwater and 3.1 μg/L in lotic water. High concentrations of selenium in wastewater discharged from agricultural activities and industries including metal refining, ore mining, fossil fuel combustion and glass manufacturing can bring substantial risks to the local ecological system. Previous study on selenium reduction by pure cultures of bacteria showed that the second stage, from Se(IV) to Se(0), was the rate-limiting step and a significant level of Se(IV) may accumulate, especially at high levels of initial Se(VI). In order to accelerate the reduction of the more toxic Se(IV) and reduce its accumulation, a Se(IV)-reducing strain Pantoea vagans EWB32213-2 was isolated and co-cultured with a Se(VI)-reducing strain Shigella fergusonii TB42616 in batch reactors. Batch study with the co-culture was performed at various concentrations of Se(VI) and culture composition. The optimal condition for Se(VI) reduction by the co-culture was observed at 30℃, pH of 8 and a cell density ratio of 1:1 for the Se(VI) and Se(IV) reducing species, respectively. Se(VI) reduction by the co-culture was significantly enhanced at higher initial concentrations with no significant accumulations of Se(IV) after 6 days. Yuxia Ji Born in Shanghai, China in 1989, he received B.S. from Shanghai University in 2012 and M.S. from University of Kentucky in 2014. He's now pursueing a Ph.D. degree in University of Kentucky. He's a Ph.D. student of Dr. Yi-tin Wang, and his research interest is heavy metal bioremediation. Bio: Yuxia Ji Born in Shanghai, China in 1989, he received B.S. from Shanghai University in 2012 and M.S. from University of Kentucky in 2014. He's now pursueing a Ph.D. degree in University of Kentucky. 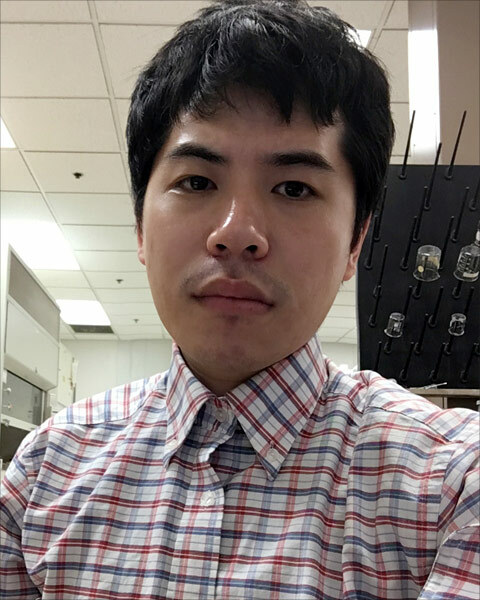 He's a Ph.D. student of Dr. Yi-tin Wang, and his research interest is heavy metal bioremediation.